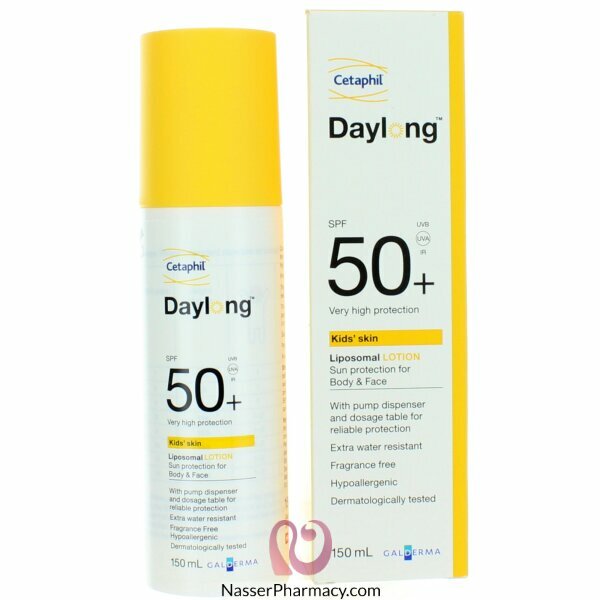 Cetaphil Daylong Kids SPF 50+ Lotion has a liposomal formulation with a uniquely light, unscented, fast-absorbing,non-sticky and very water resistant formula that provides a great skin feeling. All Daylong products are medically proven to protect skin cell DNA and help reduce the effects of the sun-induced skin aging. Apply liberally to face and body 15 to 20 minutes before sun exposure. Re-apply regularly every 2 hours, especialy after swimming or toweling.